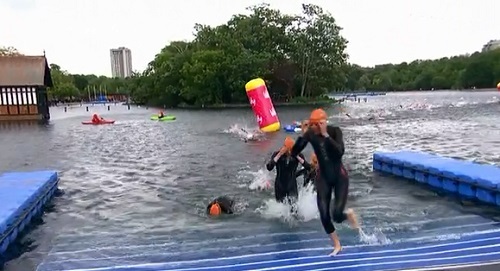 After the sunshine of yesterday, it was rain and grey skies that welcomed the world’s best triathletes in a ITU World Triathlon Series race on the London 2012 Olympic course in the heart of Hyde Park. 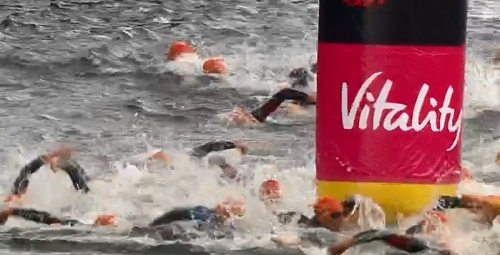 Starting with a swim in a rather chilling Serpentine, the elite men made short work of the sprint distance. However there was drama on the transition with one of the favourites, Johnny Brownlee who had a puncture which led him to be over a minute behind the leaders. 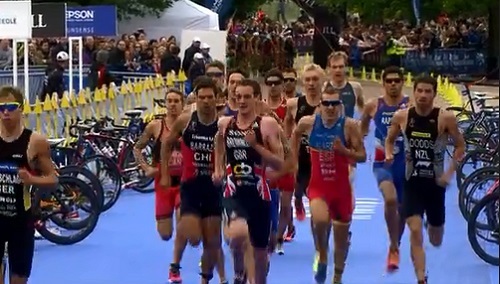 However the other local favourite Alistair Brownlee began to dominate and won the race easily, Fernando Alarza of Spain was second with Vincent Luis of France third. 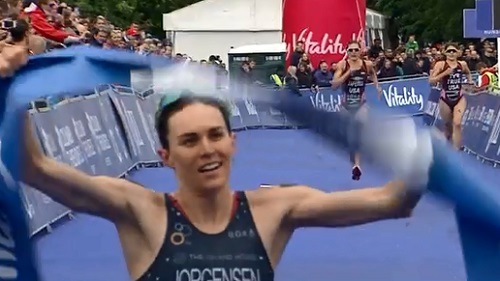 The elite women’s race was likely to be dominated by the Americans especially the Series overall women’s leader USA’s Gwen Jorgensen, with a lot of interest in British former World Champion Non Stanford. 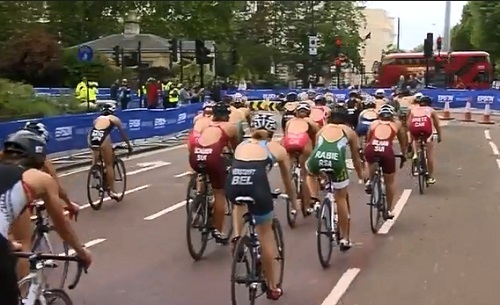 The race saw the American’s dominating with Gwen Jorgensen always in the leading group, a surprise was the good form of the youngest British competitor Sophie Caldwell. The run saw Jorgensen and fellow Americans Sarah True and Katie Zaferes race into a clear lead. Jorgensen won easily with Zaferes in second and True in third to complete an American clean sweep. 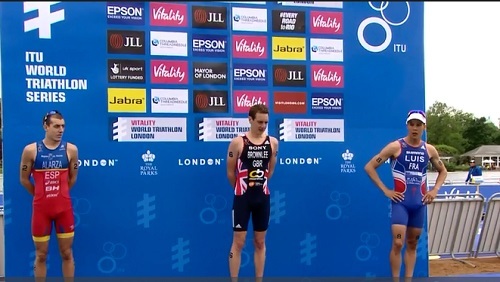 With Rio 2016 qualification points at stake and a large enthusiastic crowd, the ITU World Triathlon Series London presented a wonderful showcase of elite level triathlon racing. By londonvisitors2014 in Sporting London on May 31, 2015 .